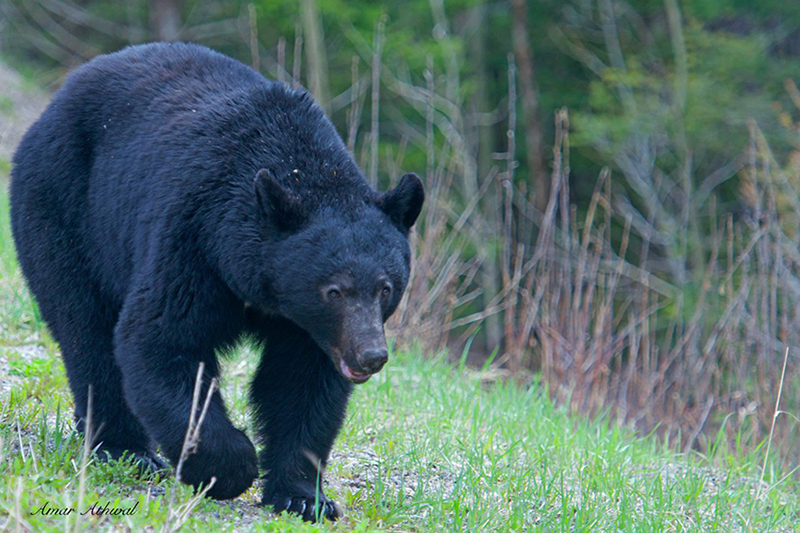 A black bear walks along the road during mid morning, eating vegetation as it went its way. The weather is getting warmer and more food can be found through out the mountains. It will not be long before calving season starts, opportunity for this bear and others for meat. Still about 85 percent of diet consist of various type of vegetation.